42 Inch Arc Promotional Slazenger Spectator Auto Open/Close Umbrellas are having an exclusive Slazenger™ design and are featuring a three-section folding stainless steel shaft. A unique pattern is debossed directly into two-tone 42" Pongee canopy that will give your brand logo more attention from people. 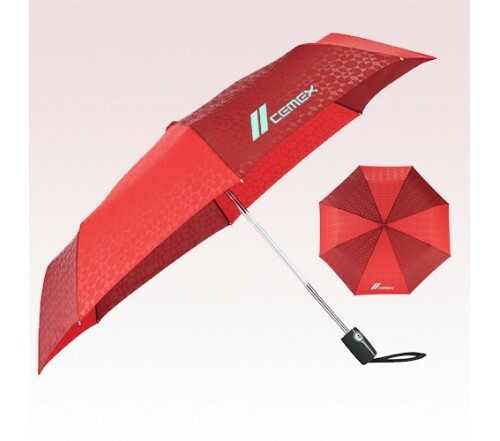 These custom auto open/close umbrellas are also featuring rubberized ergonomic black handle and they can be folded to 11 inches for compact storage while commuting. There is also a storage sleeve provided along with these custom umbrellas to allow the user to keep them safe while not in use. Order now to grab our free custom design and free online proofs facilities. 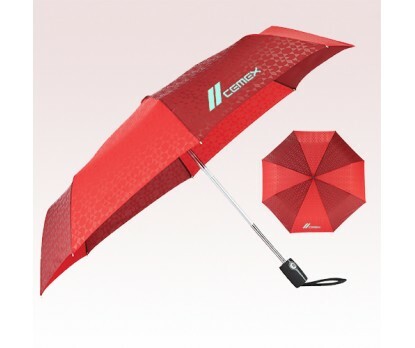 Request a quote to know the value savings that you can avail on bulk orders of 42 Inch Arc Promotional Slazenger Spectator Auto Open/Close Umbrellas.